Sam is our Grande Prairie Liaison for all of our fantastic classes that we hold up North. 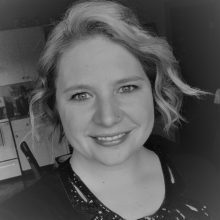 She has been a massage therapist for 10 years now, graduating from Alberta Massage Training in 2009 and running her own business from home; Simply About Massage, or S.A.M! Sam started her massage journey in Texas volunteering in numerous scenarios from hurricane relief, to orphanage relief, because she enjoys helping people. Becoming a massage therapist has allowed Sam to help people everyday and she loves it. She has taken a handful of Seminars for Health courses and has loved every one. She uses the material in her day to day practise. Her favorite treatment is pre and post natal and paediatric massage. She is a certified infant massage instructor, certified in dynamic cupping, and advance orthopaedic massage as well as geriatric massage and arthritis care.